Mordian 7th Regiment: 40k Dark Eldar - Kabalite Warriors done (and a bit of red paint spatter)! 40k Dark Eldar - Kabalite Warriors done (and a bit of red paint spatter)! Just a quick hit this evening - Braved the heat of the hobby loft for a few hours this evening and got the Kabalite Warriors up to a good tabletop standard in preparation for the first series of games for the escalation league. As is always the case, it is in the photography stage that all the little things stand out to be fixed, so there will likely be a little more cleanup done here and there on bits I've missed. Doh! That said, following a little touch up they'll be good enough for government work and get a quick hit of sealant in the morning before getting bundled up for the game(s) at the shop. Also looking forward to getting my mitts on the FW Tartaros Terminator model, he'll make an excellent basis for another Thousand Sons sorcerer! 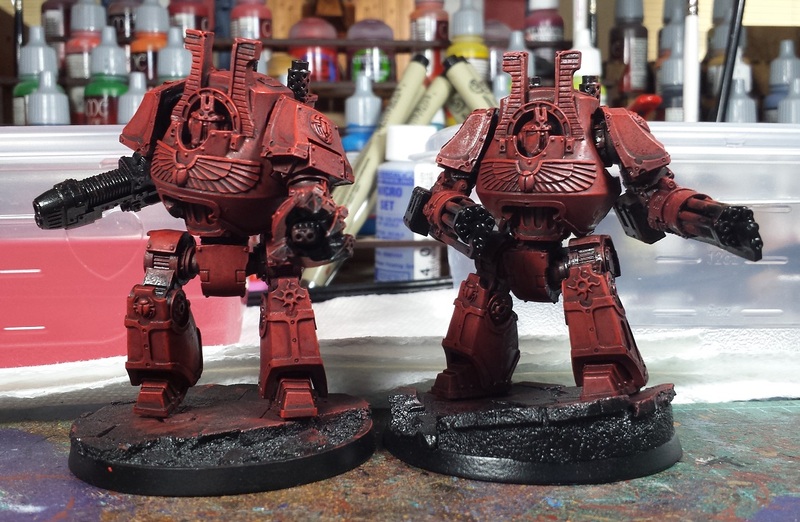 Speaking of the Thousand Sons, I did manage to lay in the base reds on the pair of Contemptors this evening as well. Nothing glamorous, but it felt good to get a little forward motion on 'em! nice work. great looking unit and those dread are super imposing. Nice work! How did you paint the bodies of the weapons if you don't mind me asking? Ohh that red. So very good. @Phil Morris: Thanks! The steel part was boltgun metal, a blue wash then runefang steel highlights. Then glorious gold, a reikland fleshshade wash, then a shining gold highlight. 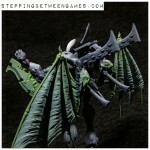 Dark Eldar look Super evil and appropriate. Good job on them! I like the red you used on those Dreads. Having magnetised one of those new Siege Contemptors (No idea what they are called) just this weekend, I'm that much closer to picking one up for gits and shiggles.